We are AKRIVIA, a young watchmaking atelier based in Geneva, founded in 2012 by Rexhep Rexhepi. From small beginnings and creating new movements out of his apartment, Rexhep grew the company year by year into an internationally recognised brand with timepieces appreciated and owned by the world’s most discerning collectors. There is more than one side to every person, so at AKRIVIA, we have more than one collection. Our main collection projects our youthful spirit, with strong case designs and ambitious complicated movements. Our founder’s collection, signed Rexhep Rexhepi, reflects our commitment to traditional technique and our love of neo-classical elegance. Today, we are a core team of seven, including Rexhep’s younger brother Xhevdet, who joined us in 2014. Our atelier is situated in the old town of Geneva, where we are continually inspired by the history of the world’s most famous watchmaking city. 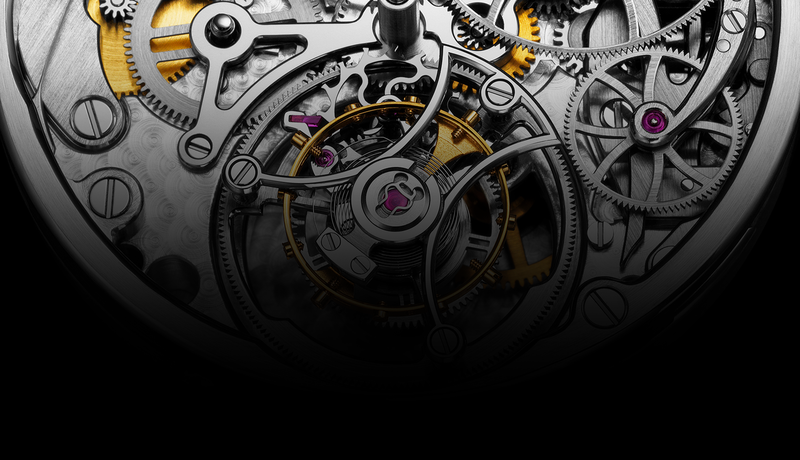 More than anything, we believe in creating optimally beautiful and innovative expressions of traditional watchmaking. You can see this belief in every timepiece that leaves the AKRIVIA atelier, and we are proud to say that everyone who wears an AKRIVIA timepiece shares our values and vision of mechanical excellence. Come visit us at our atelier to get to know us and discover AKRIVIA for yourself. Every AKRIVIA timepiece is conceived, designed and built entirely in-house, at our atelier in the heart of Geneva’s old town. Our expertise is in mechanical complications, and although there are many complicated watches out there, you won’t find many like ours. Any timepiece that is signed AKRIVIA or Rexhep Rexhepi is an evolved exploration of specialised watchmaking, from chiming complications to traditional gear-coupled chronographs. We make fewer than 30 watches a year, which is key to our standards of quality. Each watch is assembled entirely by one watchmaker, a practice shared by the most prestigious watchmaking workshops in the world. For all these reasons, and many more, AKRIVIA is valued by those who prioritise individuality, uncompromising quality and dedication. Our main collection is bold and vigorous in its case design, and our founder’s collection emphasises neo-classical style, but the heart of every AKRIVIA timepiece is an AKRIVIA movement, which applies 21st-century finesse to traditional construction. Look at any AKRIVIA movement, and you will recognise the elegant symmetries and visual balance that are inspired by the finest examples of artisanal watchmaking from the 19th and early 20th century. Look closely, and you will notice the fine-grained consistency of the Geneva stripes, the slight camber of the polished bevels, the exceptional evenness of the hand-hammered “frost effect” plate finish. 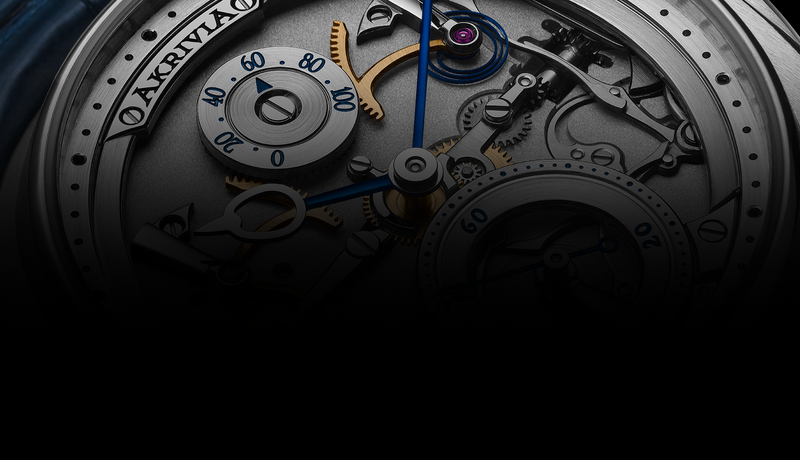 Our name, AKRIVIA, is taken from the Greek word for “precision”, and it is precision that defines the beauty and functionality of all our timepieces. This is the secret that sets AKRIVIA apart from the others. It is visible only to the experienced eye. This pocket watch was created by Rexhep Rexhepi as part of his graduation process from watch student to watch professional. Rexhep Rexhepi was born in 1987 in Kosovo, in a small village called Zheger on the banks of the river Karadak. His fascination with watchmaking was sparked at a young age when his father, who worked in Switzerland, came to visit. Each time, Rexhep would try to open his father’s Swiss watch and examine the movement within, demonstrating an early and natural affinity with mechanical systems. In 1998, Rexhep moved to Geneva to join his father. Living in a city with such a rich tradition of watchmaking, it was inevitable that Rexhep would turn his childhood passion into a career. 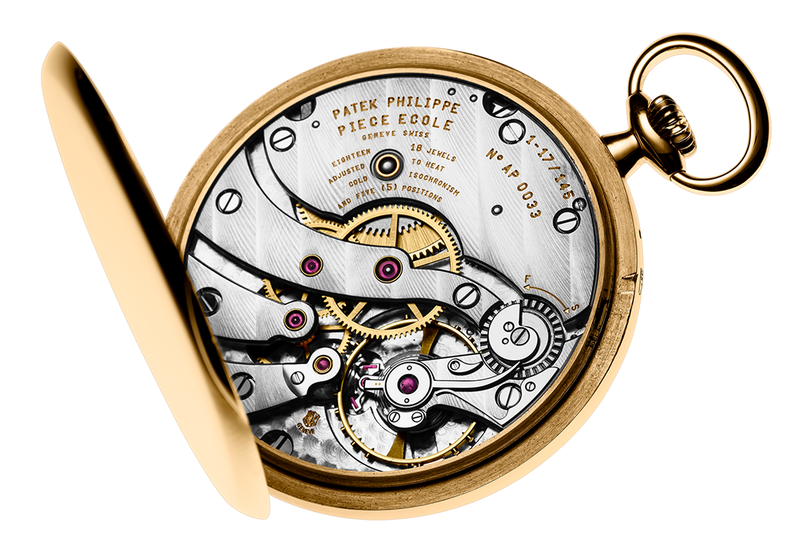 At the age of 15, he began his apprenticeship at Patek Philippe, where he proved to be a highly talented student. 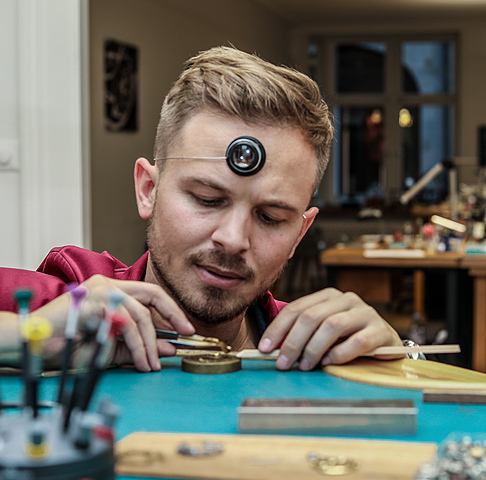 As one of their best-performing apprentices, Rexhep was hired full-time by Patek Philippe and started his professional watchmaking career at the world’s most prestigious watch brand. 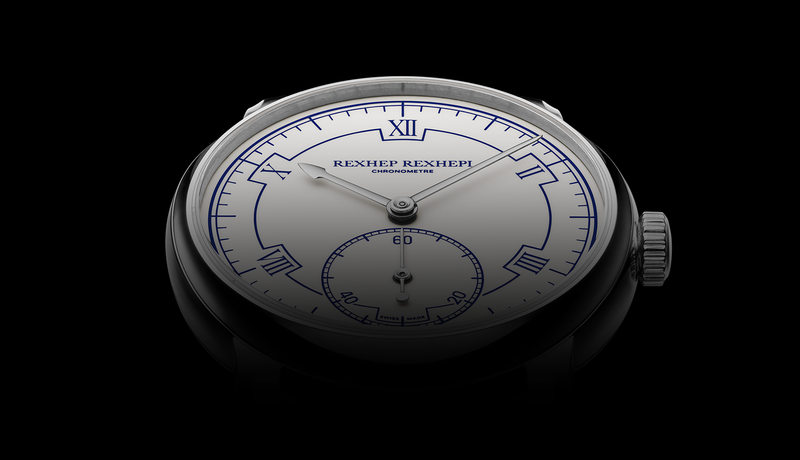 When he was 20 years of age, Rexhep moved to BNB Concept, a high-concept movement thinktank founded by three watchmakers formerly also of Patek Philippe. His talent and intelligence continued to make an impact, and he was entrusted with managing the atelier within a year of joining the company. During this time, BNB Concept supplied innovative complicated movements to a number of well-known watch brands. Rexhep then moved to FP Journe, renowned independent watchmaking atelier, where he quickly advanced to assembling their most complex and mechanically sophisticated timepieces. In 2012, Rexhep fulfilled a dream that he had been nurturing since his days as an apprentice at Patek Philippe, and founded AKRIVIA to develop and build his own timepieces.